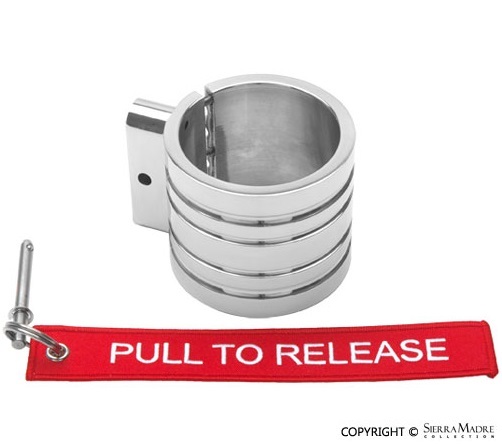 This polished fire extinguisher band clamp fits all the 250 series (2.5 lb. Max Out and Premium Clean) fire extinguishers from HalGuard. 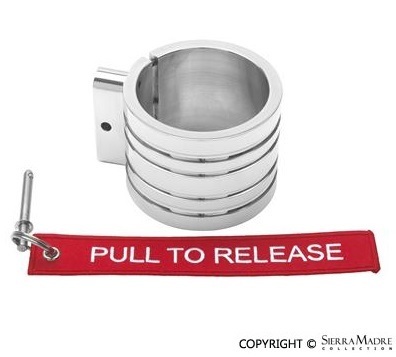 Red "Pull to Release" flag included. These band clamps are meant to be used with flat surface or roll bar mounts. Mount not included and sold separately.